What’s the difference between a twin room and a double room? Deluxe twin room: both the size and atmosphere of this room type make it the most popular room with foreign guests. This room type is recommended for couples as the single futon beds can readily be placed together to form one large futon bed. What’s the difference between a deluxe room and a standard room? Can two people stay in a single room? No, single rooms are for one person only. Can three people stay in a double (2 person) room? No, two people only. We will, however, allow a child of 7 years of age or under to stay with accompanying adults in a double room. Can four people stay in a triple room? No, three people only. We will, however, allow a child of 7 years of age or under to stay with accompanying adults in a triple room. Please note that any child over 9 years of age will need his/her own futon bed. Also, if you have two children accompanying you, and their combined ages are over 9 years, then a normal-sized futon* bed will be too small for them. An extra futon bed will be required. *Futon beds are one metre wide. Do you have a small futon bed, suitable for an infant or baby? Yes, we do have small futon beds available. 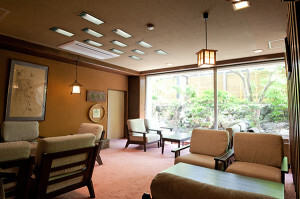 The charge is 550 yen per night for the hire of the small-sized futon. 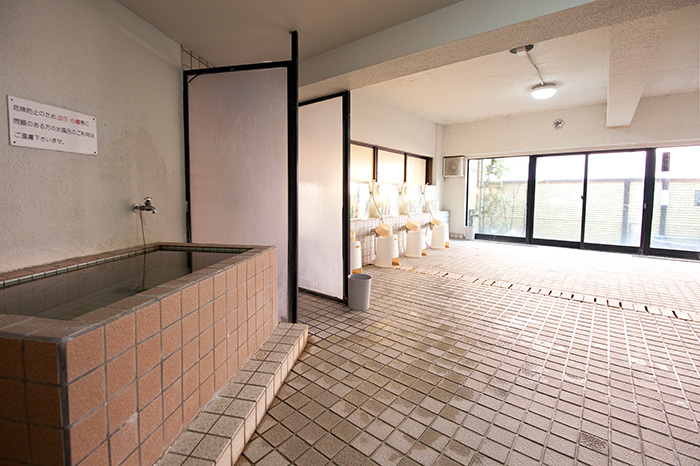 Do all rooms have bathtubs and toilets? 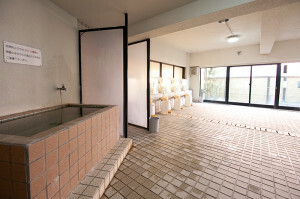 Yes, all rooms have western-style toilets and a bathtub (some rooms have a cedar bathtub). 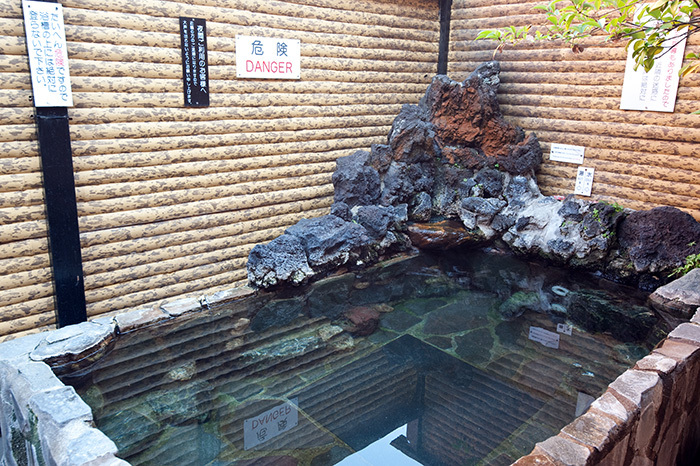 Towels and a Yukata (robe) are provided for your use during your stay. What amenities are there in the rooms? Every room has a hairdryer, television, refrigerator, air-conditioning and a locking door. We provide you with the following complimentary items: a razor, toothbrush, shower cap, soap, shampoo and conditioner. We accept email reservations only. Do I need to give you my credit card details to a make a reservation? Yes, you need to provide your credit card details to secure a reservation. If you have concerns about the security of sending all your information on one email or one fax, please consider sending us two separate emails (or two separate faxes). Such a system will allow you to include some information on one email (or fax), and the rest of the information on the second email (or fax). 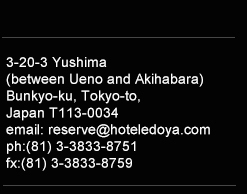 We will email you to confirm your reservation. Are your room rates per room or per person? When do I need to pay for the room? We do not require you to make a deposit in advance. We do request that you pay your total room charge (either by credit card or cash) when you check-in. Check-in time is 13:00. Check-out time is 12 noon. You need to complete your check-in by 21:30 (9:30pm). Reservations not completed by this time may be cancelled. 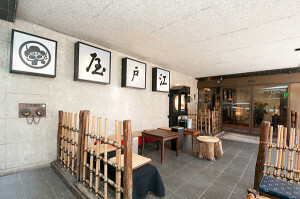 To avoid forfeiting your reservation, please notify us if you have been delayed and will be arriving later than 21:30. Can I leave my luggage at the hotel when travelling around Japan? If you arrive at the hotel before check-in time, you may leave your luggage at the front desk while you wait for your room. You may also wait in the relaxation room on the sixth floor. You may also leave your luggage after check-out, while awaiting your departure. What’s the cheapest and quickest way to get to the hotel from the airport? You can use either the Keisei Skyliner or the Keisei Express train to Ueno station. Super express train; reserved seats only; 60 minutes to Ueno Station; 1920 Yen (as of 2010). Commuter train; no reserved seats; 75 minutes to Ueno Station; 920 Yen (as of 2010). 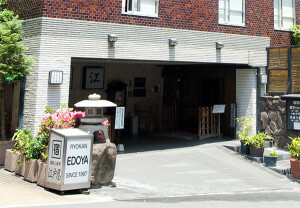 At Ueno Station use the Ikenohata-Guchi exit (side exit), and take a taxi to Hotel Edoya. The taxi ride is 5-6 minutes only and should cost 710 Yen (as of 2010). If you have a JR Pass you can use it to travel on the JR Line from Narita to Tokyo Station. Can I walk from Ueno Station to the Hotel? Yes, although it is a 20-25 minute walk without luggage. 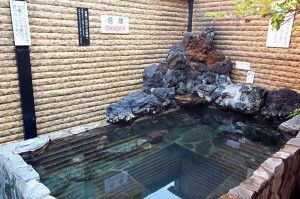 How do I get from JR Tokyo Station to Hotel Edoya? At Tokyo Station change onto the Chuo Line. Catch the train to Ochanomizu Station (second stop). Use the Hijiribashi-guchi exit. Turn left and then cross the Hijiribashi bridge. Hotel Edoya is located at the top of the hill (Mikumi-zaka-ue). 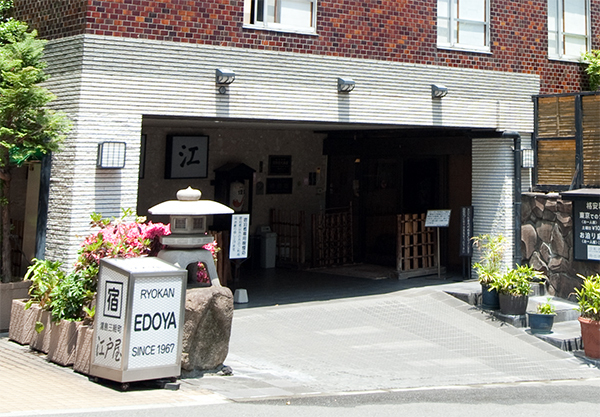 From Ochanomizu Station to Hotel Edoya it’s about a 10 minute walk without luggage. Yes, free internet access is available in the lobby. Wi-Fi is available also in the lobby and outside smoking seats. Complimentary buffet breakfast (both Japanese and Continental) is available in the restaurant from 7:00am-9:30am daily. The front door is locked between 02:30am and 04:45am. 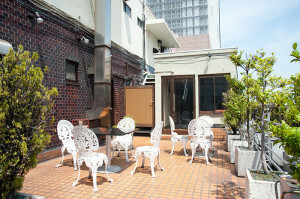 There are special smoking areas located outside the hotel’s lobby (level one), and on the roof garden (level six). There is also a small smoking area located on the third floor. Please note that at Hotel Edoya we have windows that open providing good ventilation to both smoking and non-smoking rooms. We can state with confidence that there is no residual smell of smoking in our guest rooms. 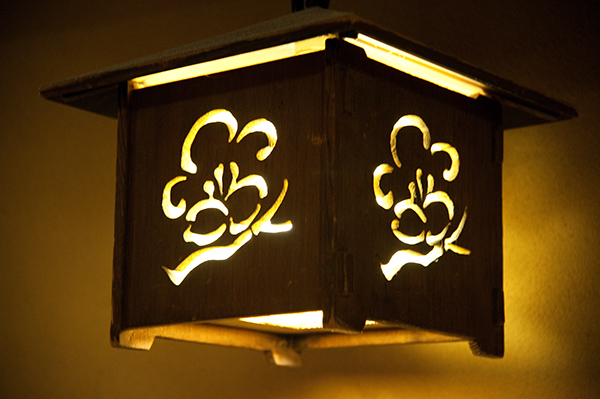 Copyright 2013© Hotel Edoya. All Rights Reserved.